The loving bond and special connection between Minnie and Mickey are expressed in this detailed charm showcasing the silhouettes of the beloved Disney couple. Wear this magical charm on your bracelet and be reminded of your own romantic love story. 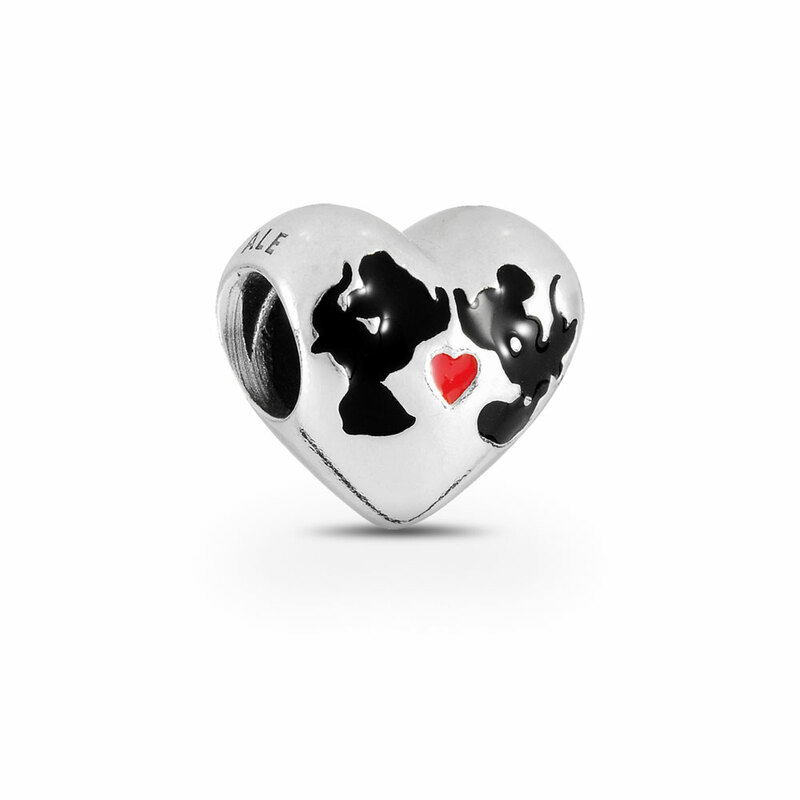 Disney Mickey & Minnie's Kiss Heart Charm is rated 4.3 out of 5 by 41. Rated 5 out of 5 by Cid1027 from Disney Love Beautiful addition to my bracelet, if you love Disney and Mickey & Minnie, you have to get this one! Rated 5 out of 5 by Ogaard from Adding to the Charm My mom loves Mickey and Minne Mouse. Two years ago, we bought her a bracelet and our kids pick out charms to add each year. The charm was a perfect addition to her bracelet. Rated 5 out of 5 by Mueda14 from Cute charm This was a perfect give to remember the wonderful memories we spent at disney land!